This is a pre-order. Expected ship date is May 29, 2019. THE BILLY JOEL/FRIDAY MUSIC 180 GRAM AUDIOPHILE VINYL CONTINUES! CELEBRATING 3 DECADES OF "THE BRIDGE"
HIS 1986 MULTI PLATINUM SMASH....FIRST TIME SUPER LIMITED EDITION RED & ORANGE SWIRL VINYL! MASTERED IMPECCABLY BY JOE REAGOSO AT FRIDAY MUSIC & CAPITOL MASTERING & MANUFACTURED AT R.T.I. Billy Joel’s smash Lp "The Bridge" will always be revered as one of the finest classic albums ever from this superstar singer/songwriter. Released in 1986, Billy had already racked up a ton of multi-platinum successes with "The Nylon Curtain" and "An Innocent Man" as he took to the road vigorously to help promote the amazing album to his huge record buying audience. 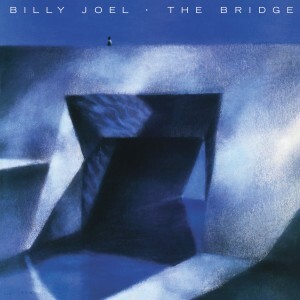 "The Bridge" shows the "Piano Man's" skills in the studio, his stellar vocals, songwriting and amazing piano artistry. Three decades later these tunes still resonate with his fans as Billy Joel is currently embarking on a very successful 2019 concert tour, and Friday Music is proud to be a part of the celebration with his 1986 masterpiece "The Bridge." As another installment in our exclusive Billy Joel/Friday Music 180 Gram Audiophile Vinyl Series, this first time impeccably mastered audiophile translucent red & orange swirl vinyl Lp is now pressed at R.T.I., featuring some of his greatest songs like the brilliant opener "Running On Ice", his smash hit singles "This Is The Time", "A Matter Of Trust" and "Modern Woman." The masterwork contains even more of his most loved classics like the stunning "Baby Grand" featuring the late great Ray Charles, as well as the album closer "Getting Closer" with rocker Stevie Winwood. For a very limited time, we are also enhancing your listening enjoyment with a striking gatefold cover artwork presentation, which features the original LP sized cover art , as well as lyrics to all of these great Billy Joel songs, making this a keepsake for years to come. Impeccably mastered by Joe Reagoso at Friday Music Studios and Capitol Mastering, Billy Joel’s "The Bridge" will be one of the more anticipated classic rock releases in the audiophile vinyl domain this year. Billy Joel...."The Bridge"....Celebrating over 3 decades of the voice, the songs, the musicianship and the memories....Super Limited Edition Audiophile Translucent Red & Orange swirl vinyl ....An exclusive....Only from your friends at Friday Music.